The following article the highlights the success of the UK dairy industry’s use of recycled HDPE plastic in milk jugs. The technology is commercially available here in the U.S., but there is no desire or incentive for the dairy industry here to include recycled content in our milk jugs. Milk jugs are the gold standard of “recyclability” and are used extensively as feedstock for recycled HDPE products. It would be the ultimate in sustainability if the circle could be completed and milk jugs turned back into milk jugs, instead of into detergent or shampoo bottles. Envision produces EcoPrime, food grade recycled HDPE resin, which would be ideal for use in the production of milk jugs. – Ed. 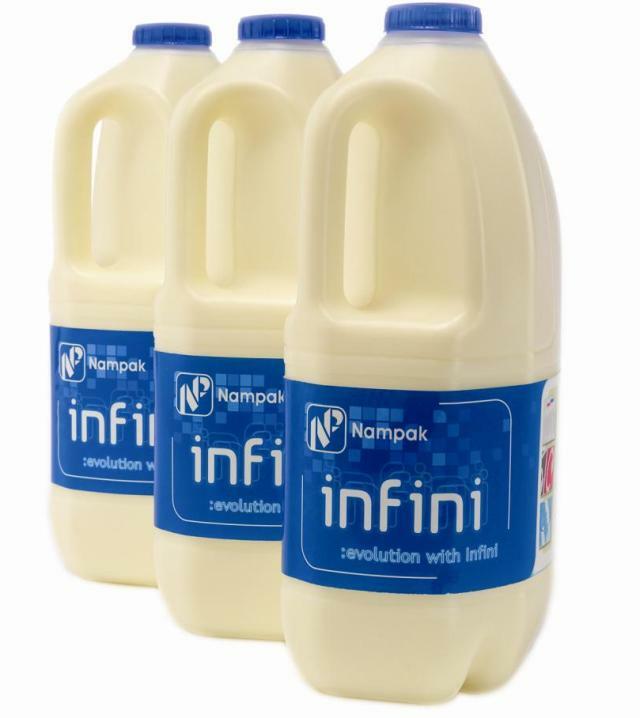 Nampak’s Infini milk bottle has sold 500 million units in the UK in supermarkets such as Morrisons, Sainsbury’s, Tesco, Waitrose and Marks & Spencer. Since its launch in 2012, the Infini HDPE bottle has saved 34,000 tonnes of carbon and 16,000 tonnes of material. According to Nampak, the bottle is the strongest and lightest on the British market. In the last 12 months, Nampak has also pushed up the recycled content in the form of rHDPE in the four pint bottle to 30 per cent and has created a four pint bottle weighing just 32g, representing a 20 per cent saving on the standard bottle. Marks & Spencer commercial and environmental packaging manager Andrew Speck added: “Since Nampak helped us launch the first milk bottles with post-consumer recycled content in 2007 it has continued to deliver innovative packaging solutions for us, most recently this year’s 30 per cent recycled content bottles that we are currently trialling.